Viknesh Vijayenthiran November 27, 2018 Comment Now! 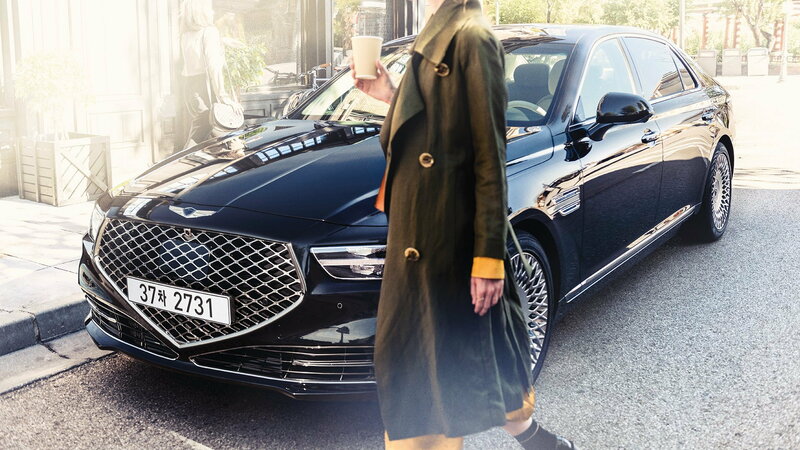 Genesis will introduce a major update for its G90 flagship for the 2020 model year, with the updated sedan unveiled Tuesday in the brand's home market of Korea. We'll possibly see the car on display at this week's 2018 Los Angeles auto show. 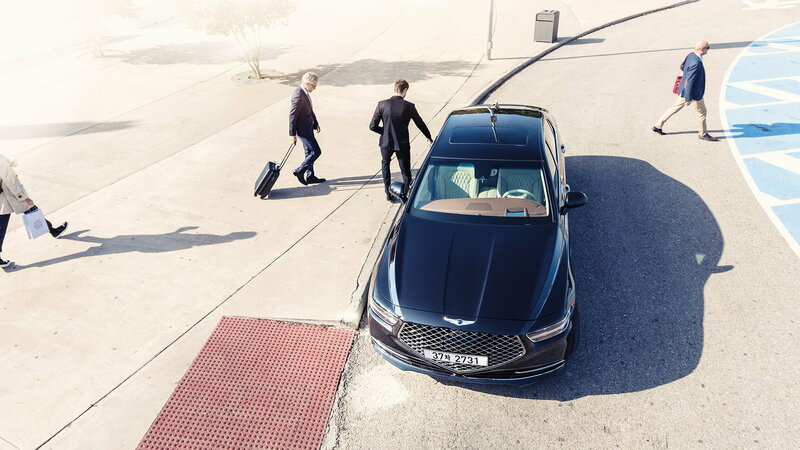 The update, which consists of a redesign of the front and rear fascias, sees the implementation of Genesis' latest design evolution on a production model for the first time. The new look was previewed on the Essentia coupe concept unveiled at the 2018 New York auto show and is characterized by a trapezoidal grille and flat, dual-bar headlights. At the rear, new full-width taillights replace the current model's individual units. Genesis' design team has also replaced the brand's winged logo on the trunk lid with a "Genesis" script. The interior design remains much the same though some panels have been made more refined and connectivity options have been vastly improved. Over-the-air updates, navigation-linked cruise control, and natural speak voice activation have all been added. 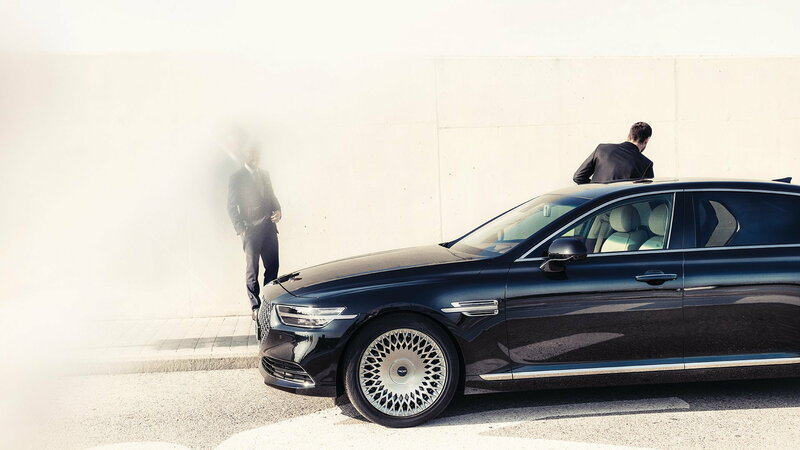 Although hybrid and even pure electric powertrains are part of Genesis' future, there aren't any electrified options on the G90 just yet. 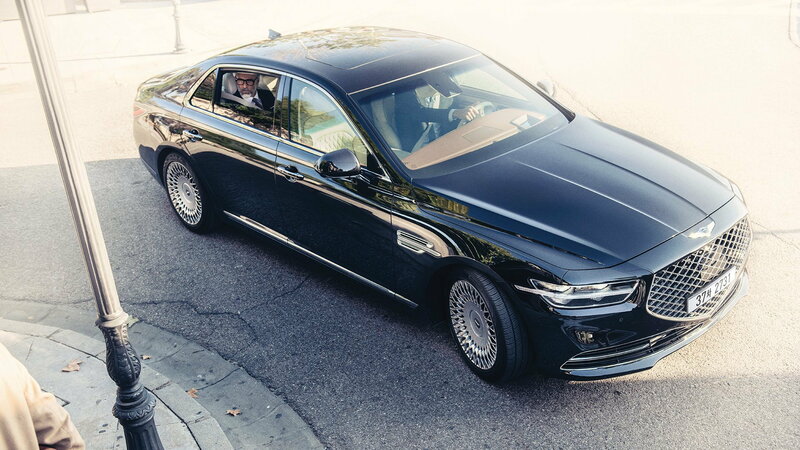 The 2020 G90 continues with the 2019 model's 3.3-liter twin-turbocharged V-6 delivering 365 horsepower and 376 pound-feet of torque and 5.0-liter V-8 delivering 420 hp and 383 lb-ft. The 2020 G90 is scheduled to start sales in the United States in the first half of next year. Pricing information hasn't been released but we wouldn't expect the base price to come in much higher than the 2019 model's $69,245 sticker. 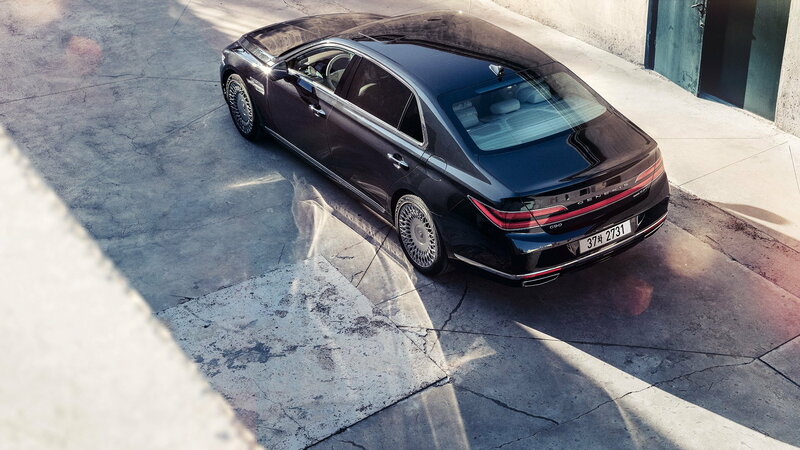 Note, similar updates are planned for the mid-size G80 sedan, also for the 2020 model year.